You are here: Home > Looking for Drag Lock on Your New MacBook Air or Pro? Looking for Drag Lock on Your New MacBook Air or Pro? Apple often rearranges keystrokes, trackpad options, and keyboard controls after releasing a new version of Mac OS X. These “benefits” are rolled in to new Mac models, and eventually become the new standard, at least typically. And I don’t mean to say that these new features aren’t benefits. Apple takes full advantage of new hardware, by adding more natural commands to your series of trackpad and keyboard controls. For example, current MacBook Air and MacBook Pro models running Lion can do things like three fingered moving of windows or triple-tapping to look up words in Dictionary on-demand. However, some features appeared to have gotten the bump, including a core feature that Mac users have come to know over the past twenty years… and that’s Drag Lock. For those youngsters born in an era of multi-touch, Drag Lock may not seem so logical. After all, on iOS devices, you simply grab stuff and toss it around. But, Drag Lock can be quite useful when you aren’t holding the screen. On trackpads, it lets you tap-hold and move windows with a single finger, without holding down the trackpad button. Anyways, a lot of people thought Apple simply did away with the feature. 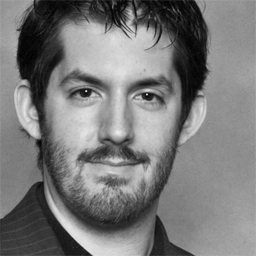 However, they didn’t… they just moved it to a place you wouldn’t typically expect. And that’s Universal Access. Apple’s been relying more and more on Universal Access for moving old access keystrokes and gestures that the company wants to put out to pasture. In my opinion, it’s a far better route than making people conform to the new regime of keystrokes and commands. Still, my concern as iOS and OS X get more aligned, that eventually “unnecessary” items in Universal Access will simply be brushed aside. 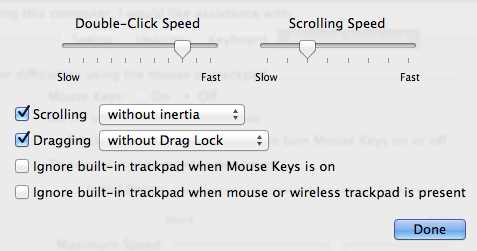 In short, to re-enable Drag Lock on newer systems, go to Apple Menu > System Preferences > Universal Access > Mouse & Trackpad (tab) > Trackpad Options… (button) > Check the Dragging box, and chose “With Drag Lock…” All set. Welcome back Drag Lock! Unlike past issues, I consider this my post sounding off that a deprecated Universal Access gesture should not simply fade to black in future releases of OS X/iOS. The hard part will be in carrying those features over to any sort of new platform, people will need to demand they make the cut strongly.